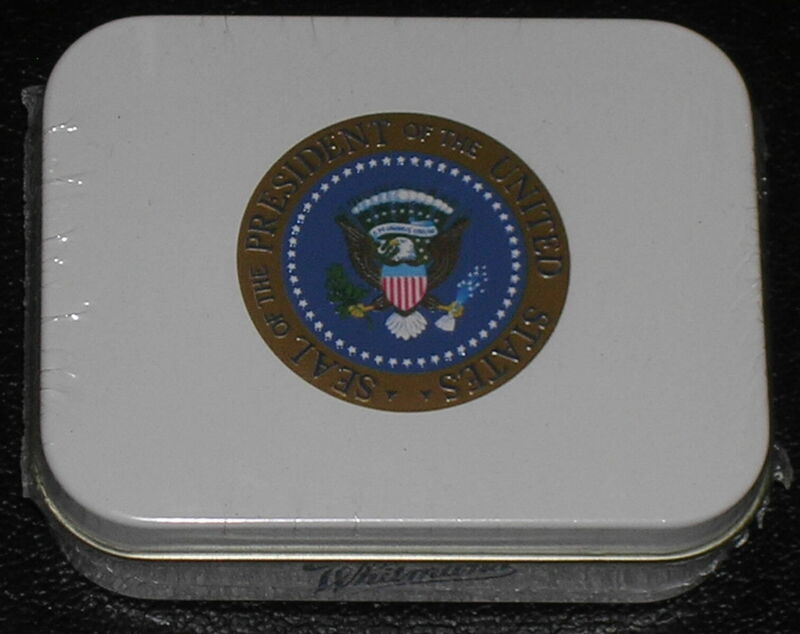 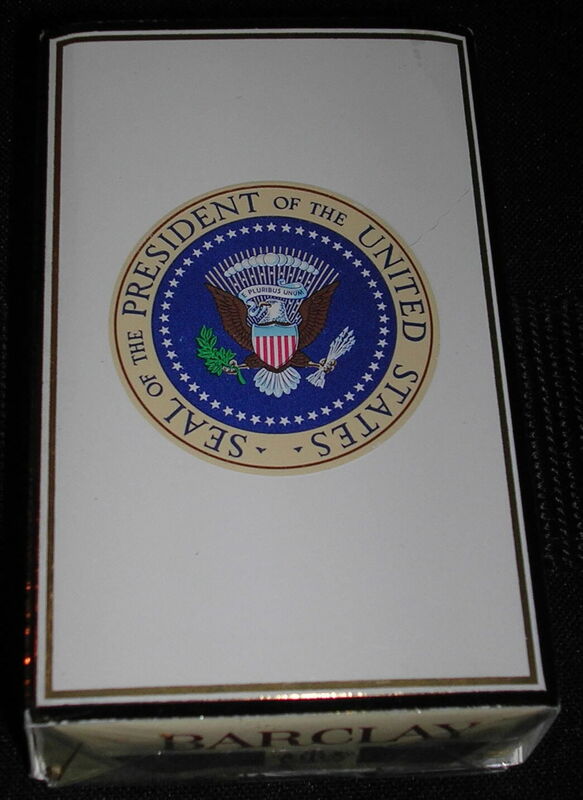 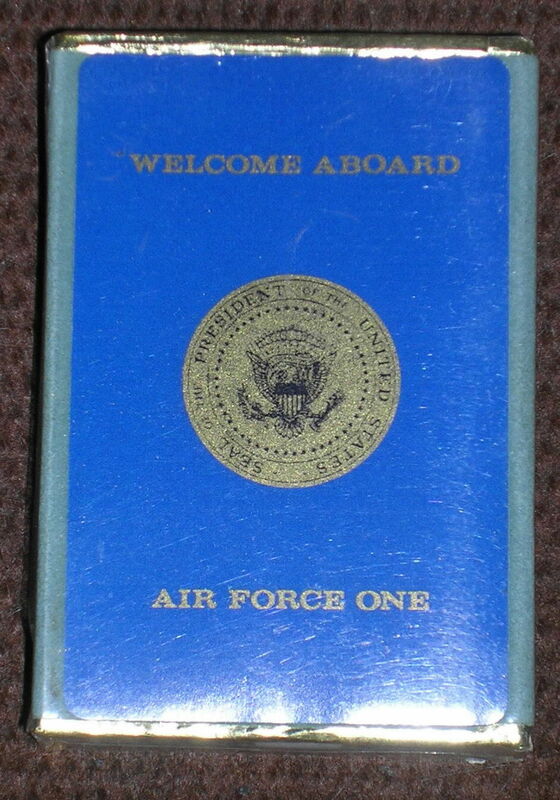 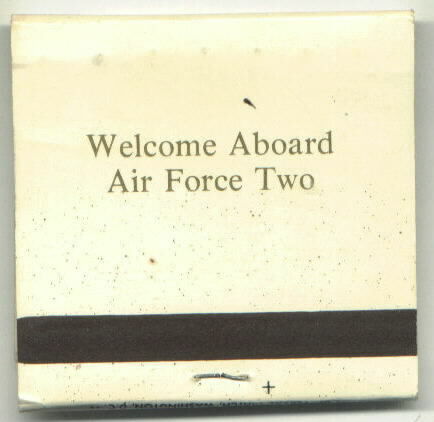 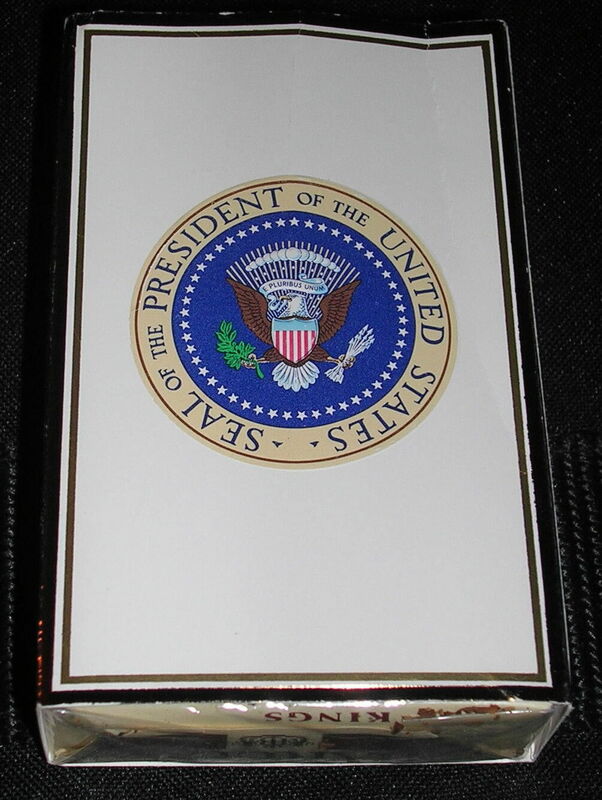 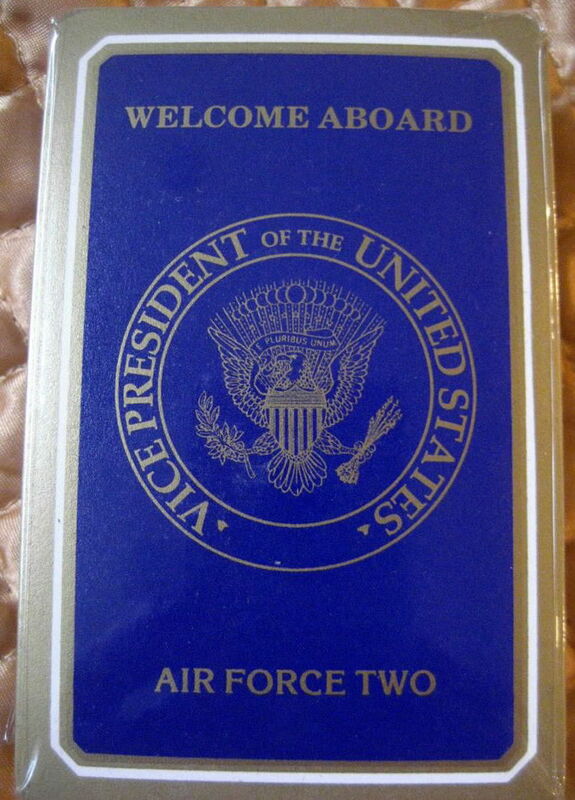 This is the rarest version of this type of playing cards made as a VIP gift for people who have flown aboard Air Force One as a guest of the President. 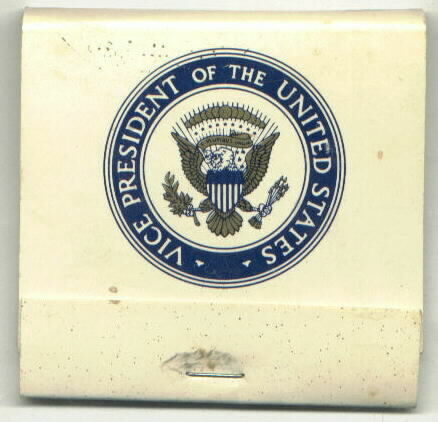 This type of cards were also widely used for many a card games aboard America's Flying White House by some of the most important people in the world. 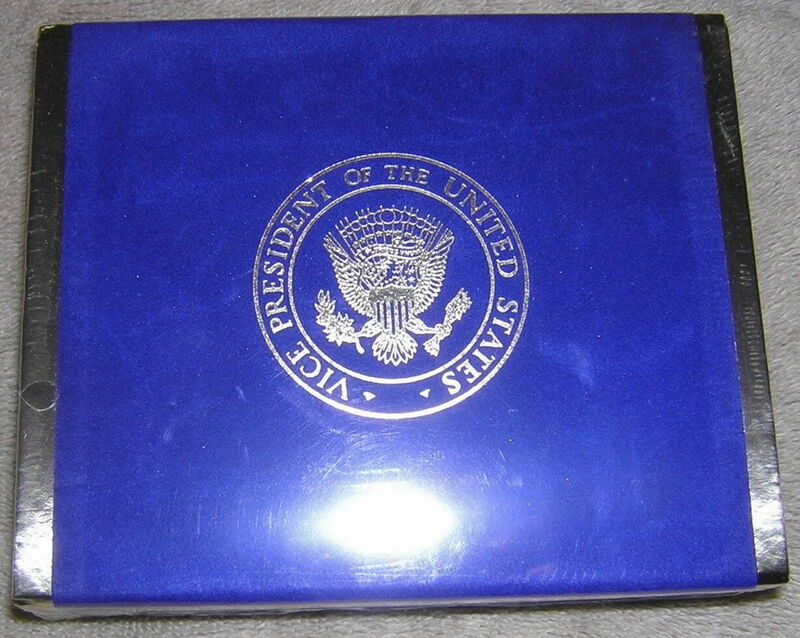 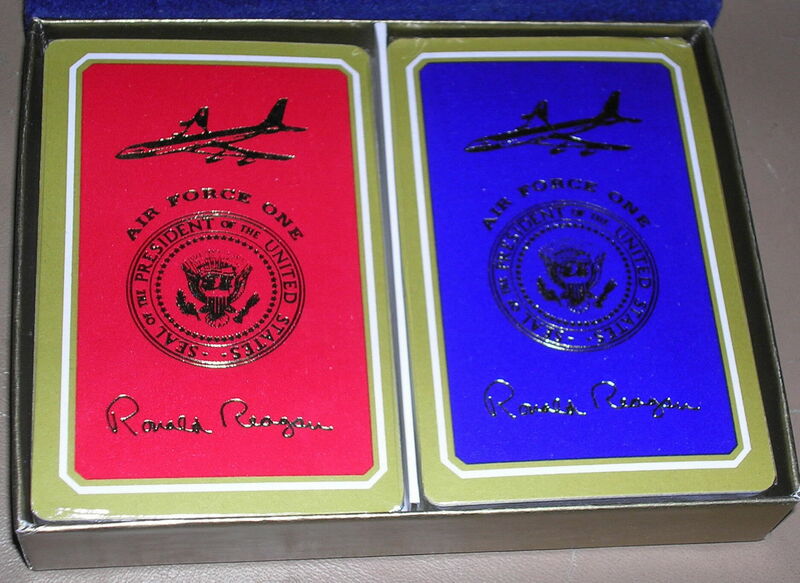 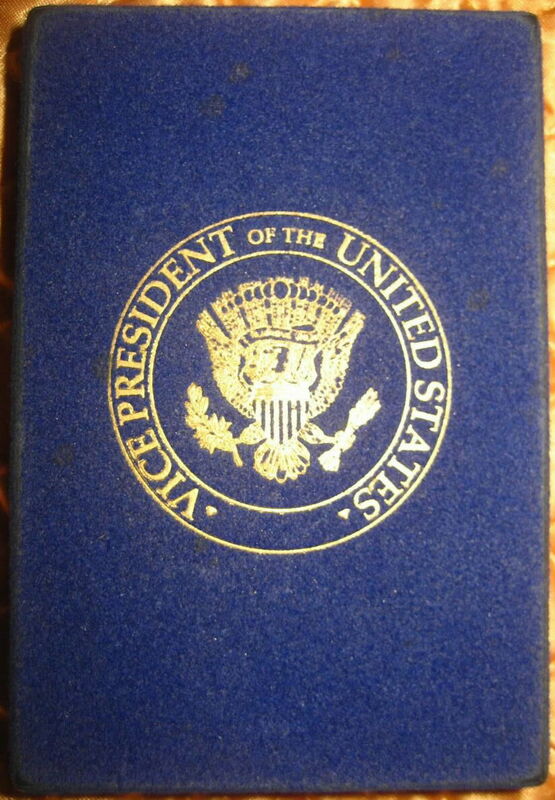 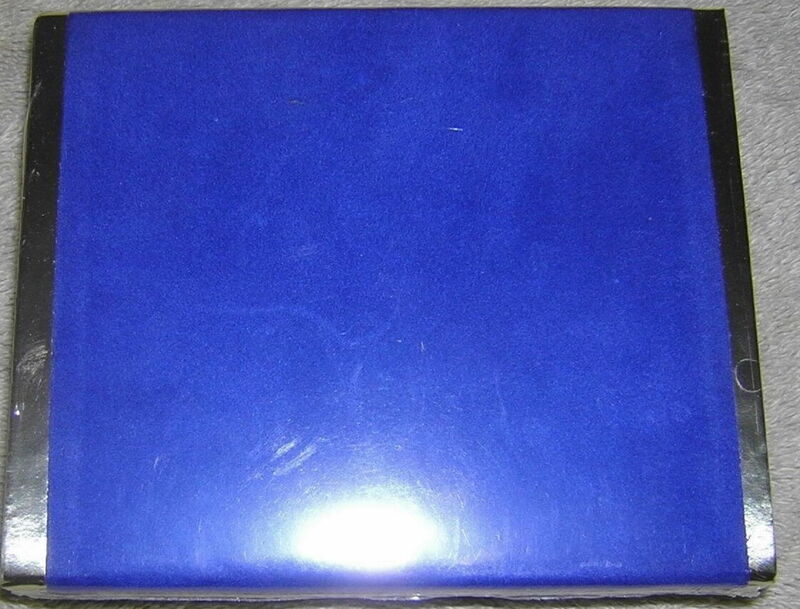 This version is the rare double deck of light and dark blue cards with no Presidential Signature on the box. 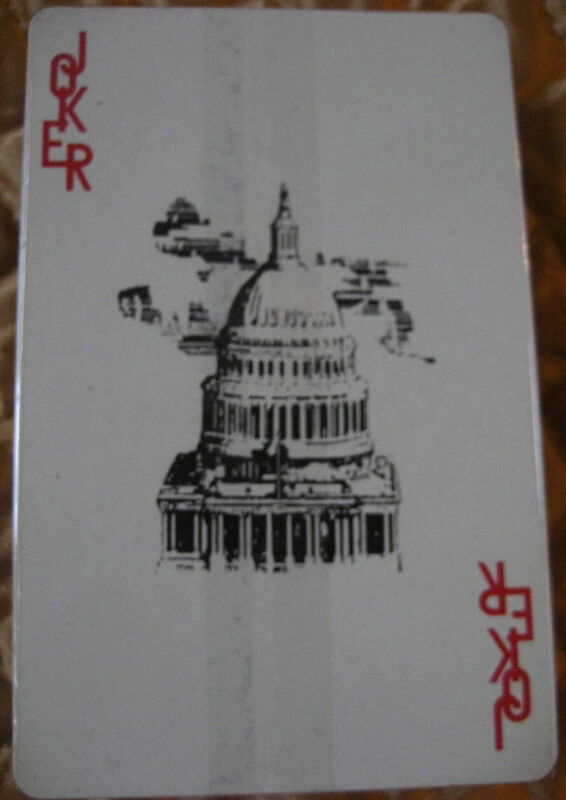 Unlike the common single deck with no signature the double deck with no signature is very rare and among the oldest verity of these cards known. 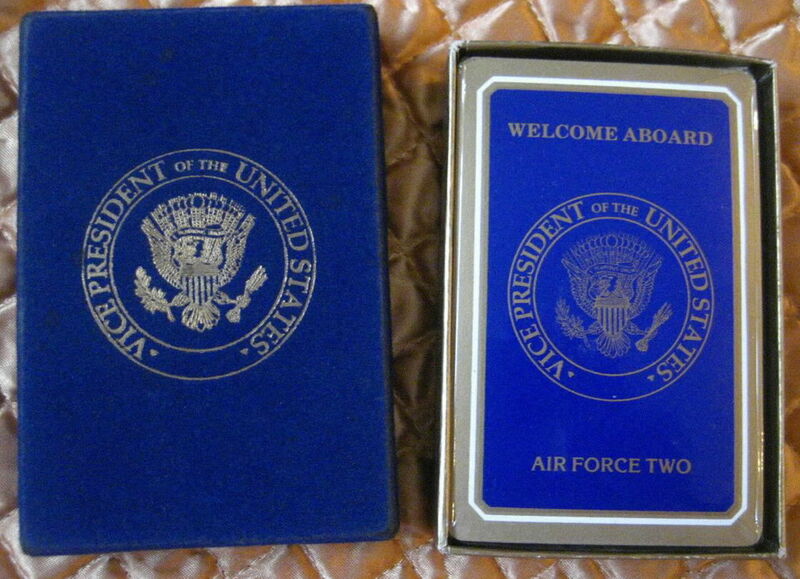 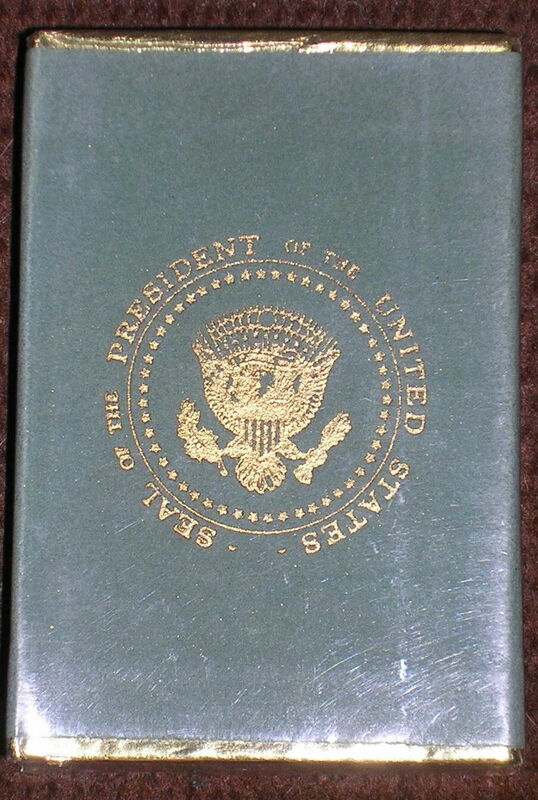 Many political collectors say these were used on 26000 during President Kennedy's administration as they closely match the Presidential Yacht USS Sequoia Double Deck of Cards made for President Kennedy and no other deck of cards are known made for President Kennedy's Air Force One Jet 26000. 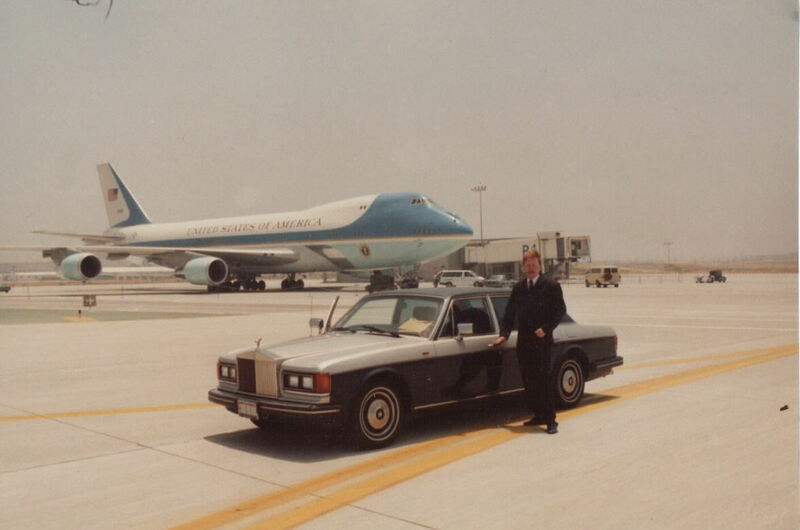 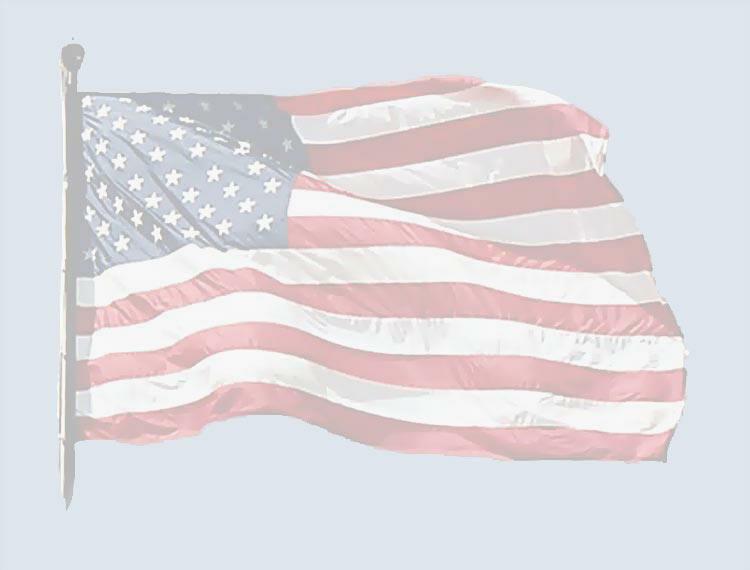 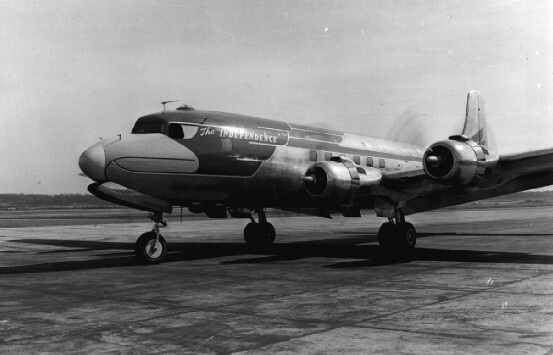 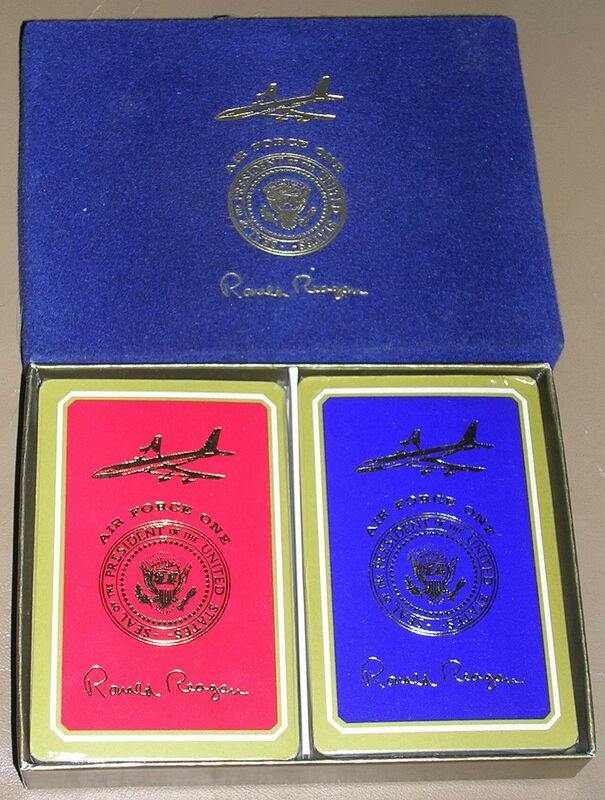 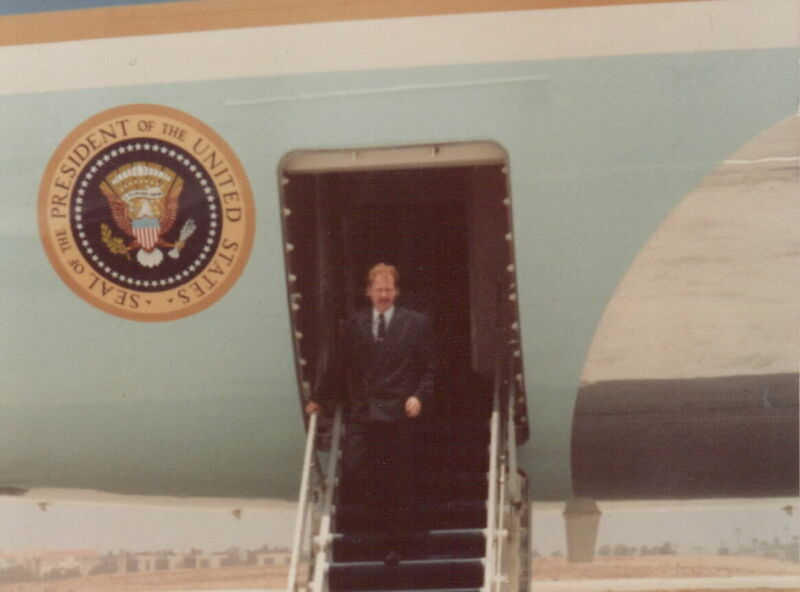 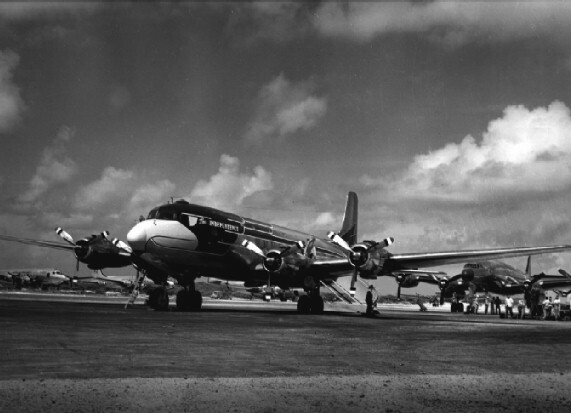 It seems unlikely that no cards would be made for the First Presidential Jet every to be built as a Presidential Aircraft as they have been giving out Presidential Cards since President Truman plain and Kennedy did in fact have a double deck of cards for his earlier prop plane. 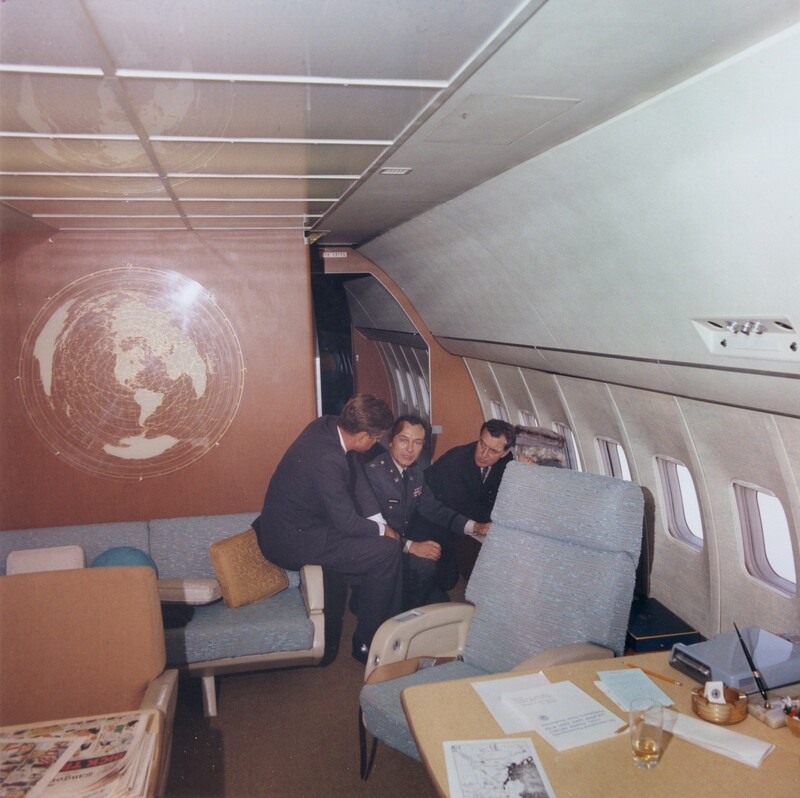 To further this theory is the fact that President Kennedy's early prop plain used a double deck of cards also without Kennedy's name on them but they are know to have been used by President Kennedy. 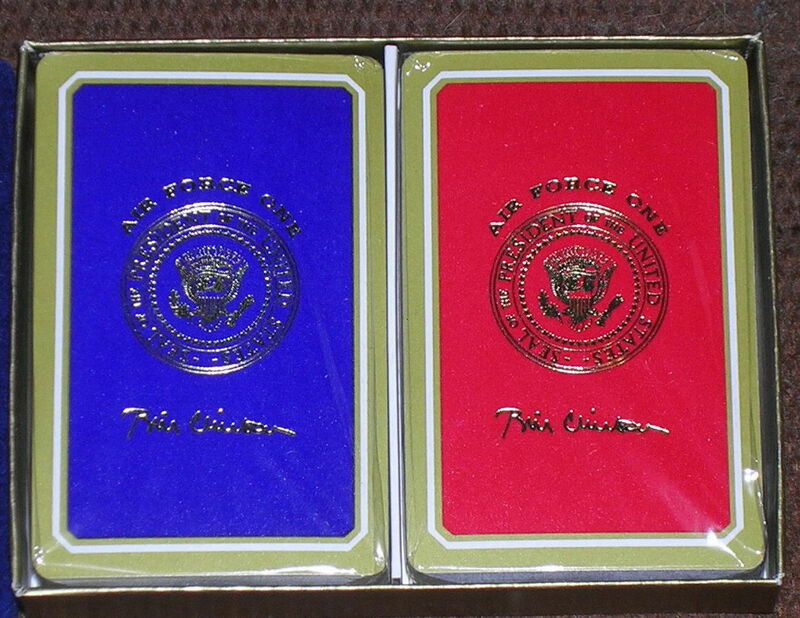 Also all the other Presidents known to use this type of cards had cards made that have The President's Signature on them. 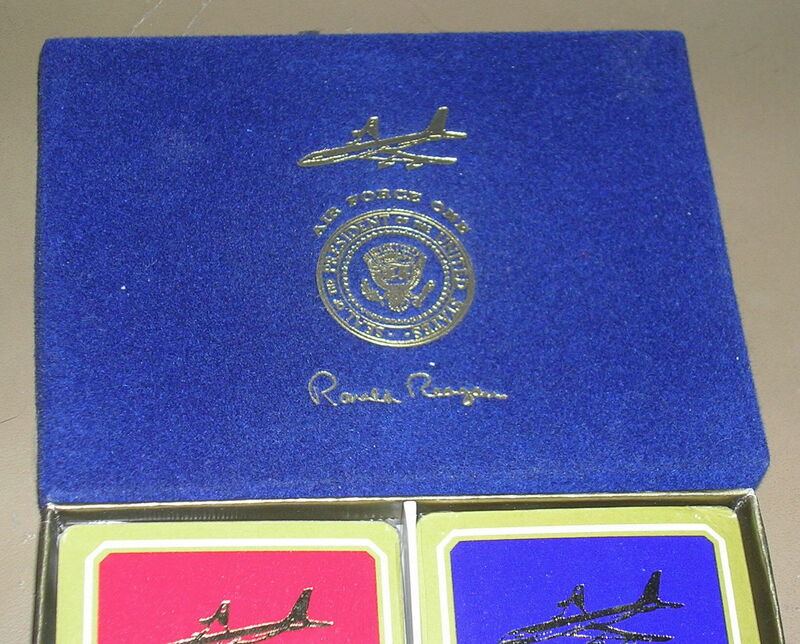 They include LBJ, Nixon, Ford and Lastly Reagan. 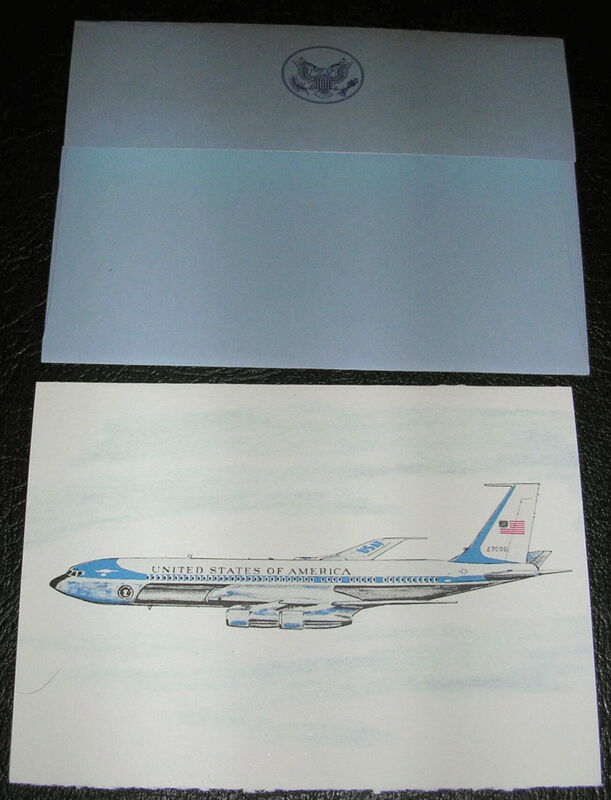 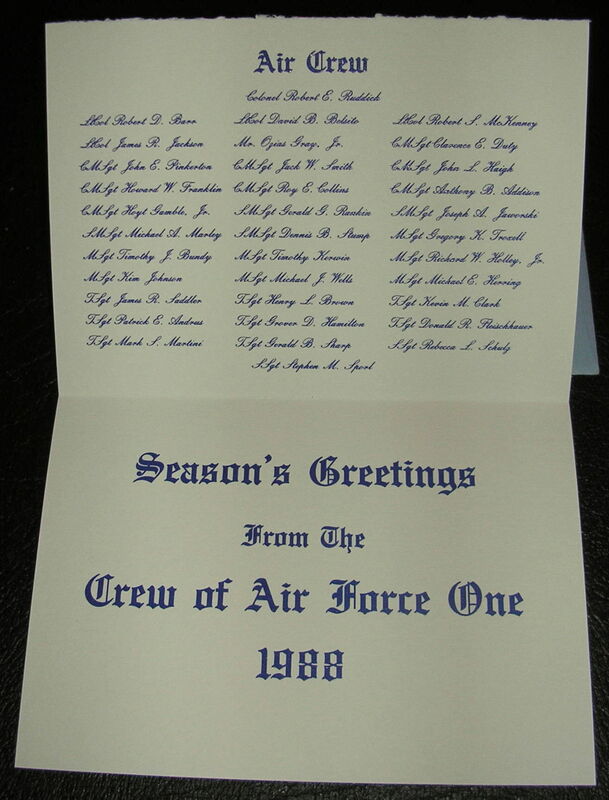 President Carter was known not to give out this type of cards on Air Force One as he thought they were a waist of the tax payer's money and publicly stated so on Television. 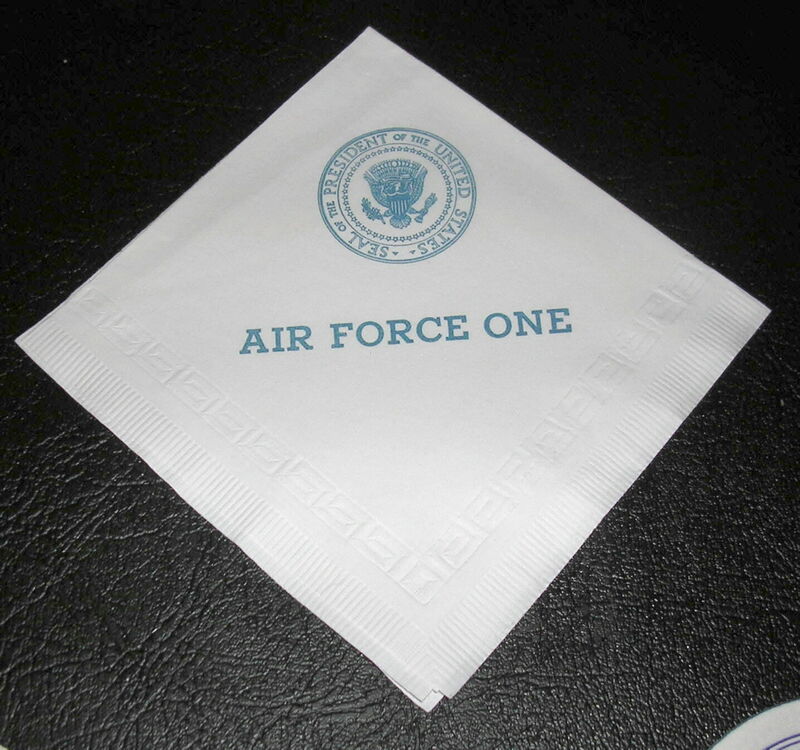 The other theory is that a small amount of these were ordered by the Air Force One squadron themselves to be used as VIP Presidential gift during Presidential transitions. 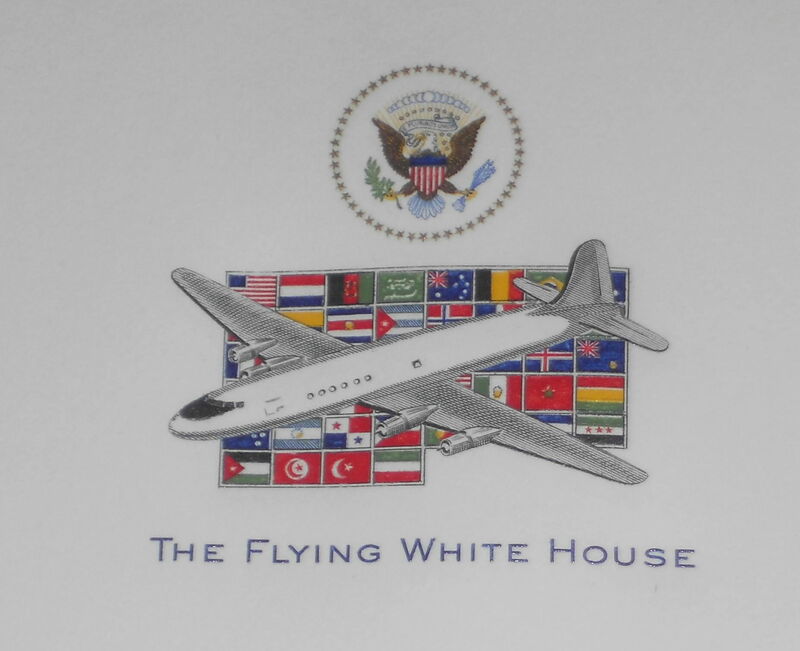 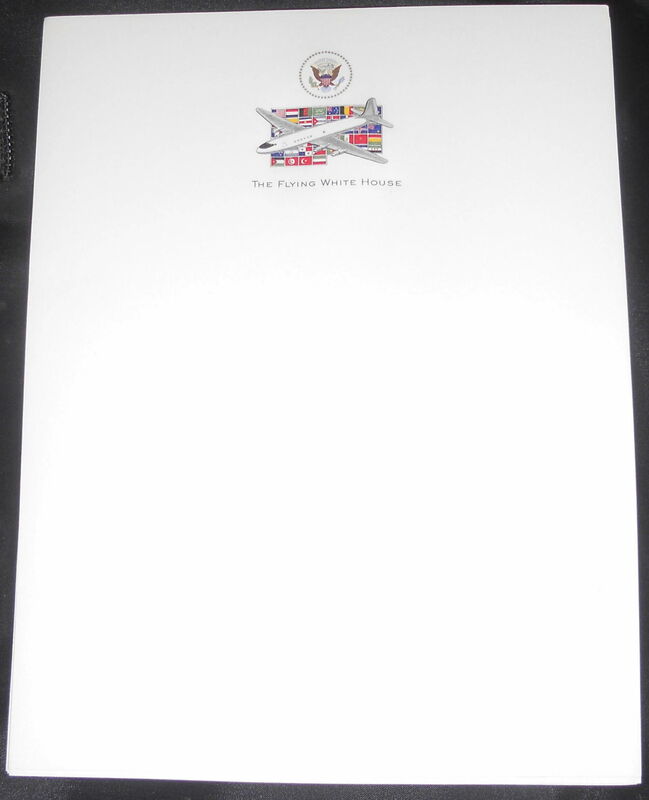 This is a very nice Air Force One zippered nylon bag. 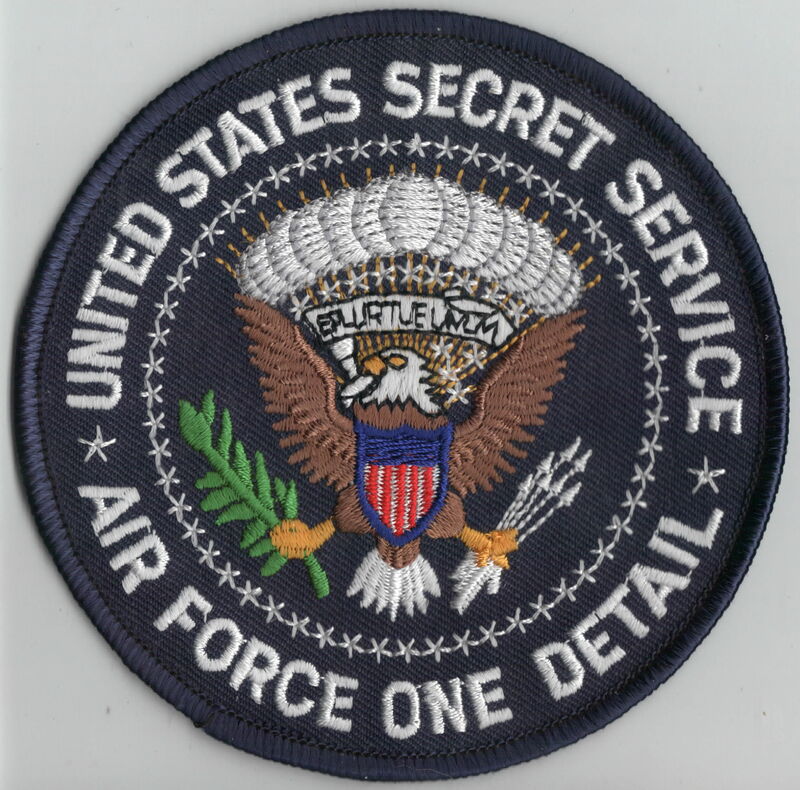 The bag is embroidered with the words Aboard Air Force One with the Seal of The President of The United States underneath. 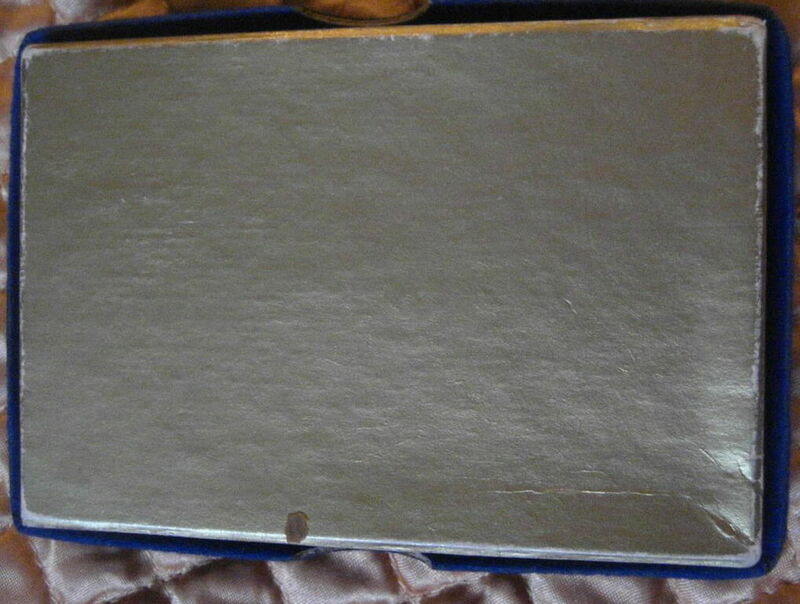 This was the bag is 15" long with fleece lining on the inside with a nylon separating the bag into to compartments.